In this post we will learn to use the Buttons, EditText , and TextViews. EditText are used to take input from user. (like Textbox in java). Note :If you are new to android and have not create any application in Android the read this Create First Project in Android and then proceed. So what we are going to do ? 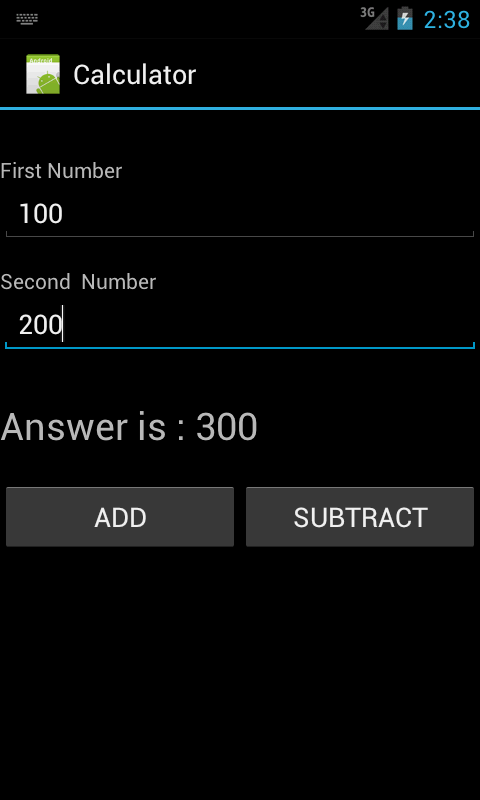 We will create an application "Calculator" which will perform addition and subtraction. We will have two EditText to take inputs. 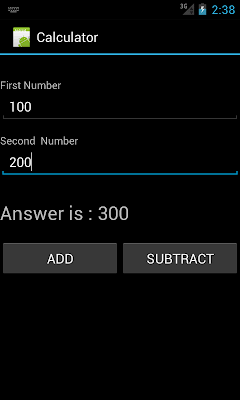 Subtract button: to perform subtraction. 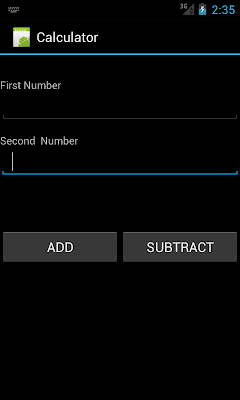 Create a new Project named as "Calculator" and give the name "CalculatorActivity" to your activity. 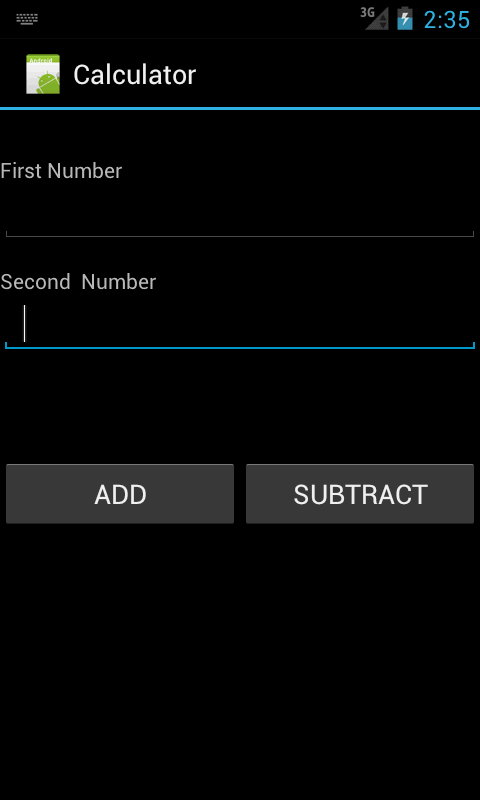 now run your application and perform add or subtract action. Hope you enjoyed the post .